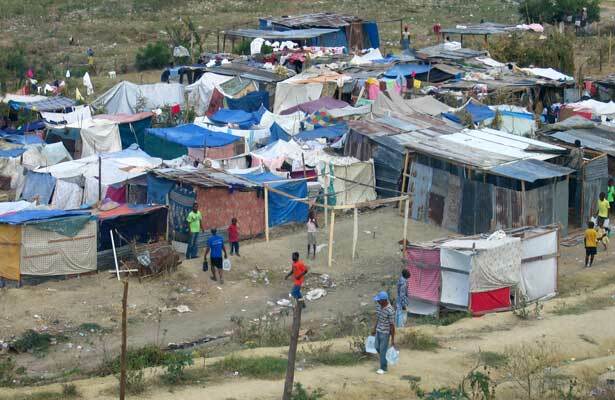 “Fragments: Haiti Four Years After the Earthquake,”a new exhibit at the NIU Anthropology Museum, invites visitors to explore the lives and living conditions of Haitian people living “under the tents” since the 2010 earthquake. Visitors can enter a tent provided for people displaced from their homes by the earthquake and view artifacts of tent life. Reproductions of a dwelling in one of Port-au-Prince’s shantytowns, a school room and a cot invite all visitors to experience life as a Haitian today. 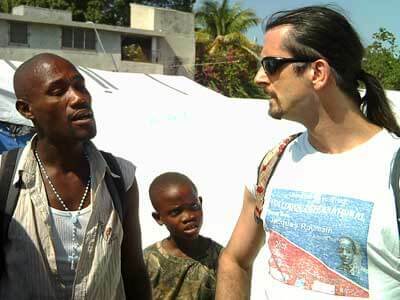 Visitors also will meet Haitian activists trying to make a difference and learn how they can help. An opening reception fis scheduled for Friday, Jan. 24, at the Anthropology Museum in Cole Hall. Refreshments will be available beginning at 6 p.m. President Doug Baker will begin the official opening ceremony at 7 p.m., followed by Vice President Ray Alden. Live music will be provided by Haitian artist Jan Sebon. Several speakers will represent the Haitian community, including Lesly Conde, the consul general from the Haitian Consulate in Chicago; Elsie Hernandez, director of the Haitian American Museum of Chicago and Judge Lionel Jean-Baptiste, co-founder of the Haitian American Congress. 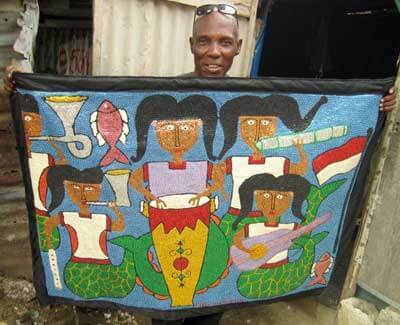 The opening ceremony will conclude with a performance by Haitian artist Kantara Souffrant. The Jan. 12, 2010, earthquake in Haiti rates among the deadliest disasters in history. While precise figures remain elusive, the seismic event claimed as many as 316,000 lives. The disaster also was one of the most widely covered events in modern history. International media attention helped raise $2 billion in private donations and $5.6 billion in official funds for the two years following the earthquake. But what happened? Where did the money go? Four years after the earthquake, media attention on Haiti has significantly diminished. Living conditions there have improved only slightly and are among the worst in the world; 280,000 people are still living under tents in scores of camps. “We hope that this exhibit will truly help people understand, to come to understand Haiti’s reality today and contribute a little bit to unmasking the lies told about Haiti,” said Patrice Florvilus, a human rights attorney from Haiti. The exhibition at the Anthropology Museum is based upon a decade of research by Mark Schuller, an NIU professor of anthropology and NGO Leadership Development and affiliate at the Faculté d’Ethnologie, l’Université d’État d’Haïti. Schuller’s research on NGOs, gender, globalization and disasters in Haiti is supported by the Rockefeller Foundation and the National Science Foundation and has been widely published. He is excited to take his activist research to this new medium of a museum exhibit. “This exhibit has the potential to move people in ways that only a hands-on experience can. Putting it together has been inspiring,” Schuller said. The exhibition is generously sponsored by Cordogan, Clark and Associates. At NIU, the exhibition and its programming are supported by campus partners at the Center for NGO Leadership and Development, the Center for Black Studies, Center for Latino and Latin American Studies and the Women’s Studies Program. In addition, the Anthropology Museum recognizes support from the Haitian American Museum and the Haitian Consulate in Chicago. In conjunction with the exhibition, which is open through May, the Anthropology Museum will host several international speakers. On Monday, Feb. 24, the museum will explore the issue of housing and human rights with Florvilus and Jean-Baptiste, a Cook County Circuit Court Judge and co-founder of the Haitian Congress to Fortify Haiti. In April, for sexual assault awareness month, the museum will welcome Malya Villard-Appolon, the 2012 CNN Hero of the Year and associate director of KOFAVIV, an organization that helps victims of sexual violence in Haiti. Monthly programming is made possible in part by a grant from the Illinois Humanities Council, the National Endowment for the Humanities and the Illinois General Assembly. For more information on the dates and locations of all programs, call (815) 753-2520 or email AnthroMuseum@niu.edu.